Mt. Hood National Forest is in crisis. Though it supports a $50 million tourist economy, the Forest Service can only aford to maintain 15.8% of its 3,000-mile road network. Most are old, disused logging roads that dump sediment into our waterways and damage salmon habitat. And with road maintenance budgets spread thin, even roads to popular recreation areas are crumbling. Have you recently driven on a bad road on the eastside of Mt. Hood (Hood River or Barlow Districts)? 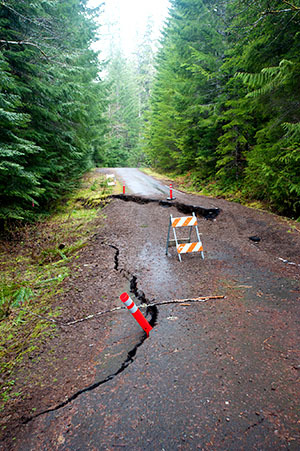 Have you recently driven on a bad road in the Zigzag or Clackamas River areas of Mt. Hood? Have you recently driven on a bad road somewhere else in Mt. Hood National Forest? If you answered “yes” to either of these questions, we need your help! The roads to recreation areas are often in poor condition. 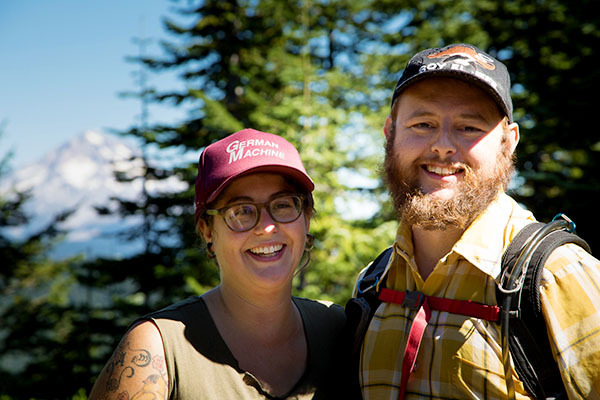 We need you to join us at the Forest Service open houses to demand that roads for recreation be maintained, and roads for logging be removed. Email russ@bark-out.org for carpool information. Even if you don’t know about the east side of Mt. Hood National Forest, there are other ways you can help. The Forest Service is collecting public input on the road system in Mt. Hood for each area of the forest. If you have experienced shoddy roads on your way to recreation areas in other parts of Mt. Hood, please take ten seconds to sign up here. We need your help. Thanks, and see you on the mountain! P.S. If you've experienced bad roads in Mt. Hood National Forest, we need to know!